The planets regulate energy flow and represent the dimensions of experience. In Astrology ten of the heavenly bodies are used because of their size, proximity and influence on the earth, and its human, animal, vegetable, and mineral kingdoms. In the proper order of their speed through the Zodiac they are: the Moon, Mercury, Venus, the Sun, Mars, Jupiter, Saturn, Uranus, Neptune and Pluto. 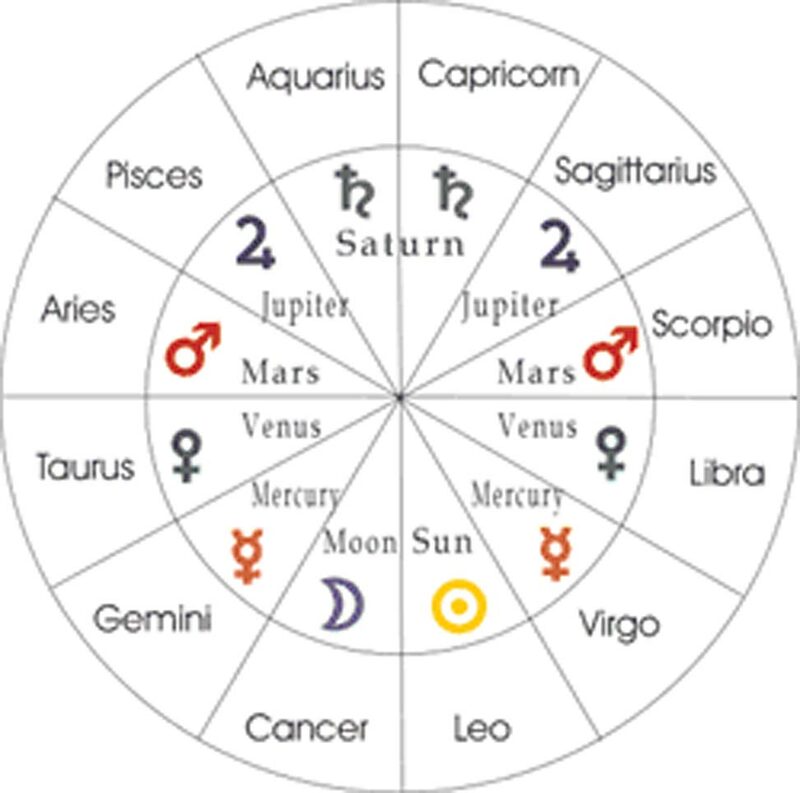 The benefic planets are Jupiter and Venus; is known as "the greater fortune" and Venus is "the lesser fortune." The influence of the Sun and Moon is considered good also. Mercury, Neptune and Pluto are neutral planets—their influence is good when they are well aspected with other planets, but malefic when adversely aspected. When you see words like "malefic", "adverse", "bad", "unfavorable", etc., bear in mind that such terms are used only for want of terminology that more fittingly describes planetary vibrations. All signs and all planets are good but our human reactions may be bad, according to our stage of development. No planets are evilin nature, but our manifested responses may be judged as good or adverse.